Awesome cooked-to-order fish tacos for only 99 cents??? How is that possible? And WHERE is that possible? Read my review with pictures of TJ Oyster Bar in San Diego after the jump! During our visit to San Diego last month (read my other San Diego food reviews here), my daughter and I drove a little outside of town to Bonita and hit TJ Oyster Bar. And what a treat it was! We knew we had found some place special since it was crowded at 2:00 in the afternoon on a weekday. It's a small place, too, so you've got to snuggle up to the others in line. After waiting at the register to place your order, you can grab one of the few tables, or get a spot at the counter (like we did). The counter turned out to be lots of fun because everything at TJ Oyster Bar is grilled to order, and it was really something to watch the cook at work. His hands were flying all over the place trying to keep up with the orders. 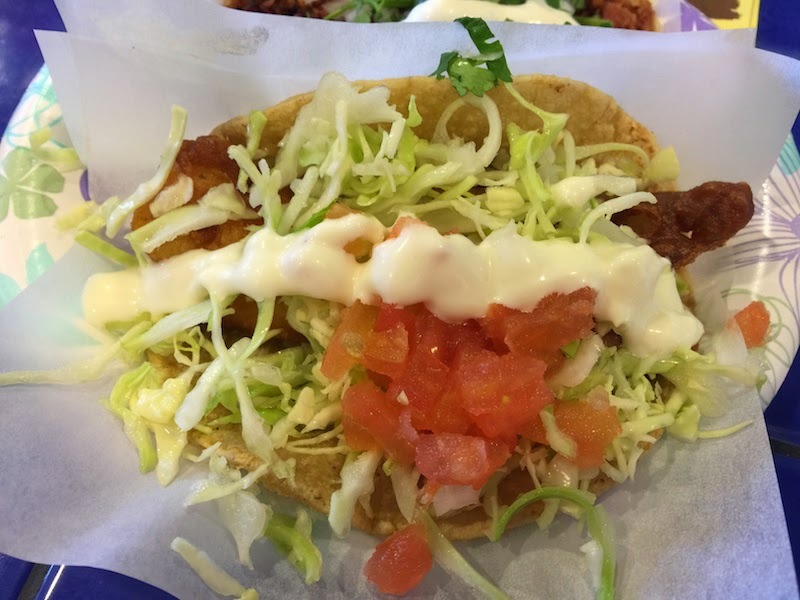 We came for the 99 cent fish taco, and we were not disappointed! The fish was cooked fresh to order, and the tortilla was fresh as well. 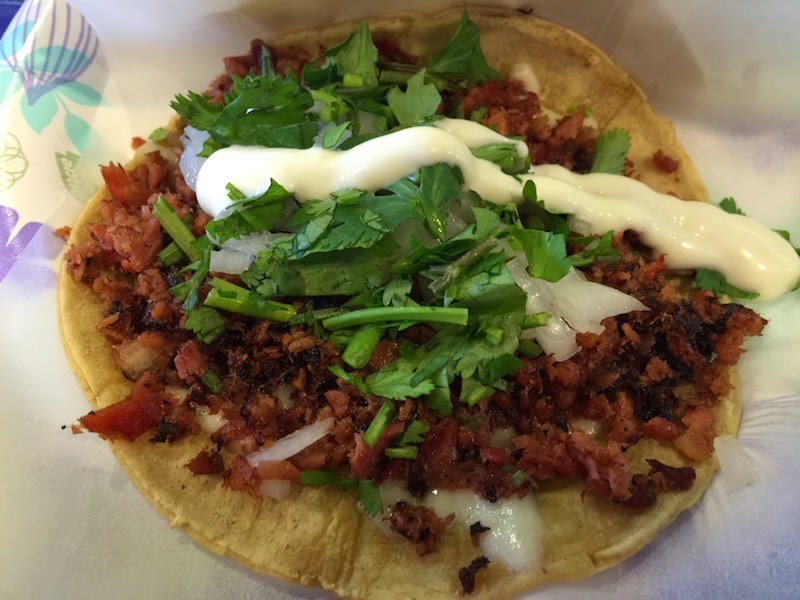 I'm sure we could have eaten four or five of these alone, but we split one so we could try another taco. The other taco we tried was the smoked tuna taco. (Which, as you probably guessed, was more than 99 cents.) This was simply incredible. The tuna was diced very small, and even though it was grilled, it was still moist. I'm not sure what they marinated it in, but it tasted fantastic. I might have guessed it was carne asada if I had not known it was tuna. Despite how busy the place was, everyone there was in a good mood, and the staff was really friendly. 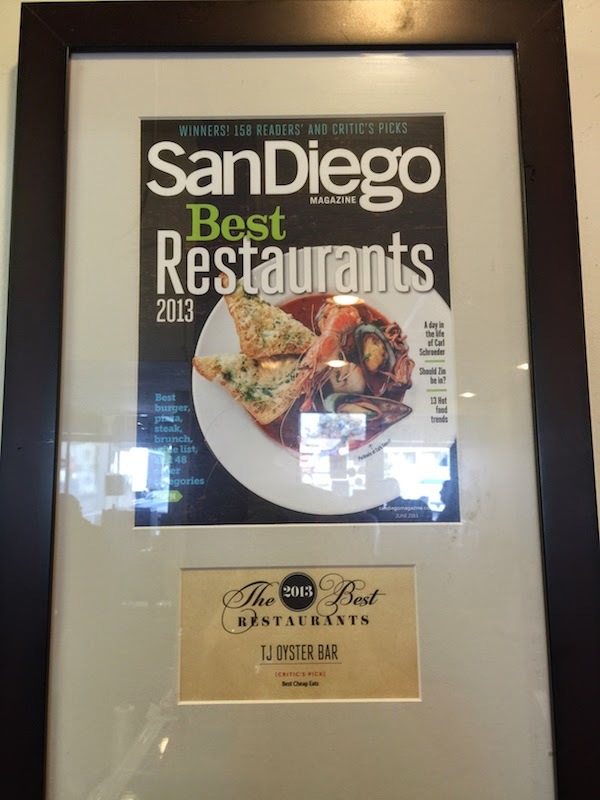 TJ Oyster Bar was voted Best Cheap Eats in 2013 by San Diego Magazine. 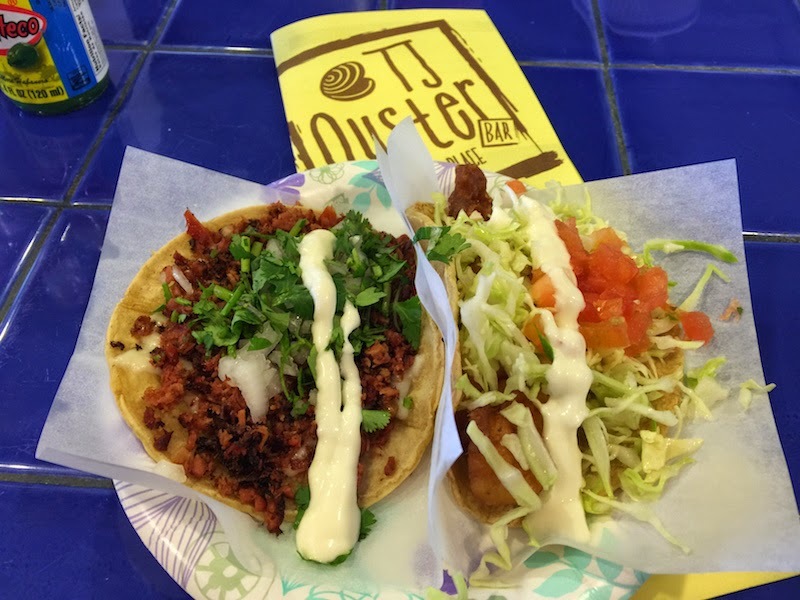 I can definitely say that TJ Oyster Bar has one of the best fish tacos in San Diego! I can't wait to get back to San Diego, and when I do I will be sure to return to TJ Oyster Bar. I want to try their smoked tuna fries (check out this picture and review on Chowzter -- they look delicious! ).